We will cover common techniques for communicating and controlling XYZ robots. We’re going to revisit some old friends today and see what they have in common. Let’s see where we all are. How did the H-Bridge boards go? What did we think of the AxiDraw? How do we tell our robots to do what we want them to do? G-code is the generic name for a plain-text language that CNC machines can understand. – via Make: Getting Started with CNC, page 111. If these instructions are followed correctly, they’ll find themselves with a nice square drawn on the page (see below). Motion Control is software that reads G-code and converts it into electrical signals that tell the CNC to move. At its core, motion control is the link between the software and the hardware. -via Make: Getting Started with CNC, page 105. Grbl is a free, open source, high performance software for controlling the motion (motion control) of machines that move, that make things, or that make things move, and will run on a straight Arduino. Grbl is already loaded on your X-Carve Arduinos. You can interact with Grbl from the terminal, but traditionally uses another software to control the CNC (in our case so far Easel). Sejo’s write up on communicating with the X-Carve using the Arduino Serial Monitor. Grbl can be interfaced with a normal serial communication at 115200 baud. Easel – web-based software platform that allows you to design and carve from a single, simple program. MakerCAM – MakerCAM is a web based CAM program. Simple by design, MakerCAM allows you to produce toolpaths for use with 3 axis CNC machines such as Shapeoko, Probotics, Zenworks CNC, ShopBot, or any other 3 axis machine that accepts standard RS274D gcode (most hobby/small business CNC machines accept this). MasterCAM – We have access to MasterCAM in the shop, an NC programming software for 2-axis, 3-axis, simultaneous 4-axis & 5-axis milling, multi axis lathe, Mill-Turn, Wire EDM and routers. CoolTerm is a simple serial port terminal application (no terminal emulation) that is geared towards hobbyists and professionals with a need to exchange data with hardware connected to serial ports such as servo controllers, robotic kits, GPS receivers, microcontrollers, etc. Windows only. ChiliPeppr is a hardware fiddle, meaning it is a website that lets you easily create a workspace to fiddle with your hardware from software. ChiliPeppr provides a Serial Port JSON Server that you run locally on your computer, or remotely on another computer, to connect to the serial port of your hardware like an Arduino or other microcontroller. ChiliPeppr Grbl Workspace – Grbl devices are now supported inside ChiliPeppr. The workspace connects to your Arduino via the serial port over the ChiliPeppr Serial Port JSON Server. Maintained by Jarret Luft. Single Line Drawings – Tsp sld – An entire drawing comprised of a single line. If done by hand, you would place the pencil onto your drawing surface and never lift the tip from the media. F-Engrave is a text or image to g-code program (for both engraving and v-carving) that is written in python and is based on the text engraving software. The AxiDraw does not use g-code to control its movements. There command set is specific. You will need Processing 2.2.1 and the Ani library. AxiDrawProcessing2 – A method of using AxiDraw with Processing using only serial. AxiDrawProcessing – Some simple examples showing how one can control the AxiDraw, directly from within Processing. 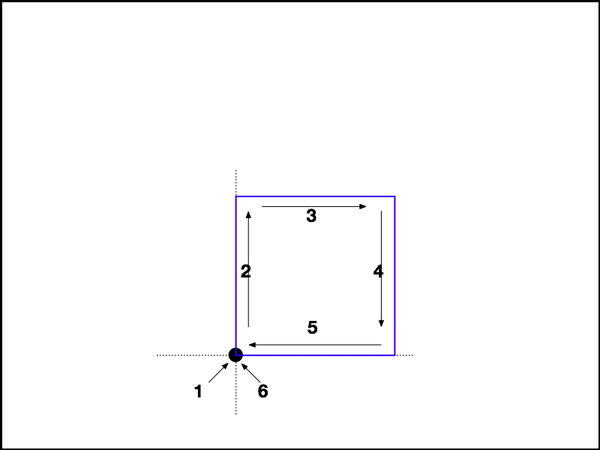 Using g-code, we will code the square, upload, and make a machine “draw” a square. Run g-code on the X-Carve, the Othermill, and if possible the Makeblock XY Plotter. In our next class, each of us will present an idea for our final project, nothing is written in stone, for an XYZ robot. What is the original element you will be creating? What do you want your robot to do? Pick your verb, what does it do? Be as general as you can. Then be as specific as you can.